Music, motions and movement intrigue children in Jennifer Nagle’s Early Start classes and even more so now that they sing in both English and Spanish. Thanks to a mini grant from the Blue Grass Community Foundation, a bilingual storyteller expands the preschoolers’ sing time with myriad rhythms and rhymes, patterns and lyrics. “It’s a fun way for them to develop language and their literacy skills,” said visiting artist Amy Olson, who leads “Bilingual BoogieBeats” at James Lane Allen Elementary. From “Twinkle, Twinkle Little Star” to “We’re Going on a Bear Hunt”, she holds the kids’ attention throughout each half-hour session. Her approach weaves in grammar lessons, counting, fresh vocabulary and elements of story sequence using familiar tunes and new songs they quickly memorize. Nagle was among 16 teachers in Fayette County Public Schools to receive mini grants this year. Her proposal grew out of a desire for students to develop basic music skills as well as bond with each other since her two classes include preschoolers with disabilities and Hispanic children just learning English. Olson, who will visit every other week for a while and then weekly in May, agreed that “Bilingual BoogieBeats” can bridge gaps among diverse students. Nagle thinks the musical story time will also help her youngsters learn to focus and pay close attention to instruction. 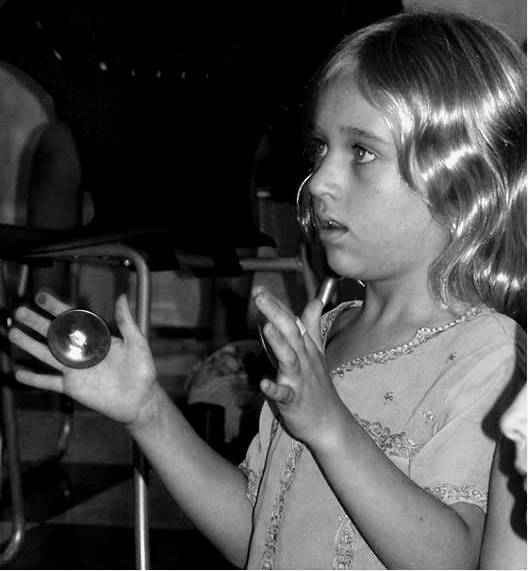 “Especially at this age, they love music and songs that involve finger play and anything that keeps them active and moving. When their body’s moving, they really think about it and remember it better,” she said. The textbook is finally out. Perhaps some of your public libraries are carrying it – or maybe some should (hint hint). 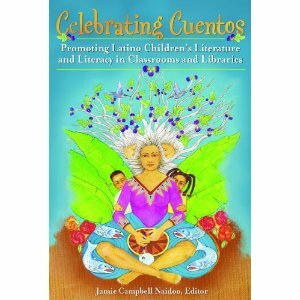 I was lucky enough to get two chapters published: “Bilingual Music Programming and Preliteracy” and “Breaking through Cultural Barriers: Using Latin American Folktales in Literacy and Library Programming”. On the cool side of things, too, is that my brother, Drew Noffsinger, created some drawings for the folktale chapter and my cousin, Dr. Robert Ream, has a chapter in this book as well. You can read the chapters I wrote by following the links on this blog. Wiggle like a penguin, drive a fire truck, ride a horse named Joe……Children will use their imagination, dance and play rhythmic instruments while singing songs in English and Spanish. BoogieBeats has been featured in the KET Art to Heart Program, The Herald Leader, and La Voz. This is appropriate for children ages 0-4 and Head Start/Early Start programs and works best when parents and/or caregivers are able to attend and participate as well. 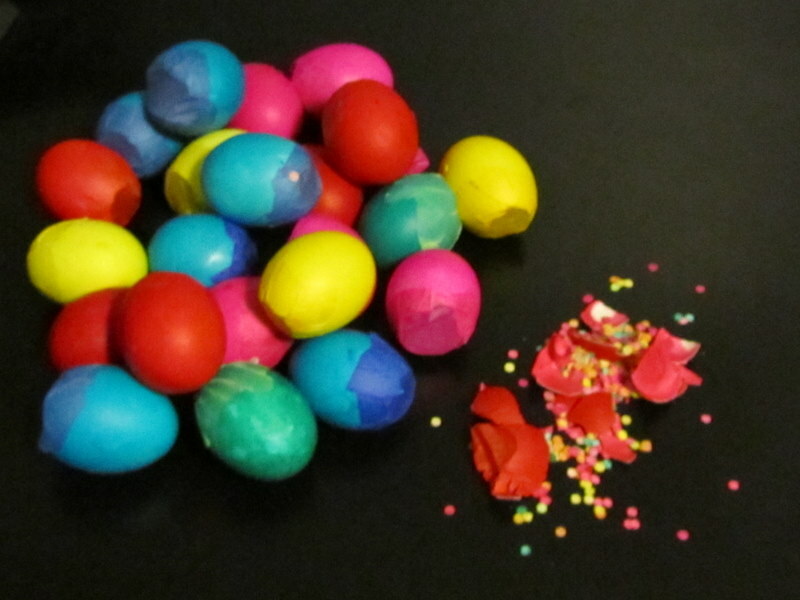 Cascarones are decorated hollowed-out chicken eggs filled with paper confetti. They are popular fun throughout Latin America and great fun to make and ahem, smash on people’s heads during any festive celebration.